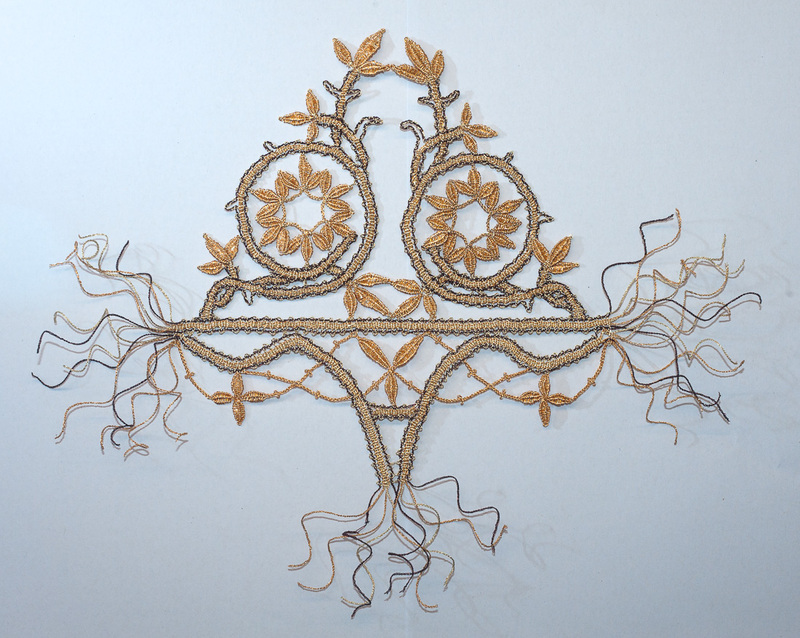 This piece was made for the Triennial Award – a competition held every three years by the Australian Lace Guild. The theme for 2015 was Gold. There are various categories and this was entered into the bobbin lace category. It is made with copper wire and due to this, has contemporary sculptural qualities. 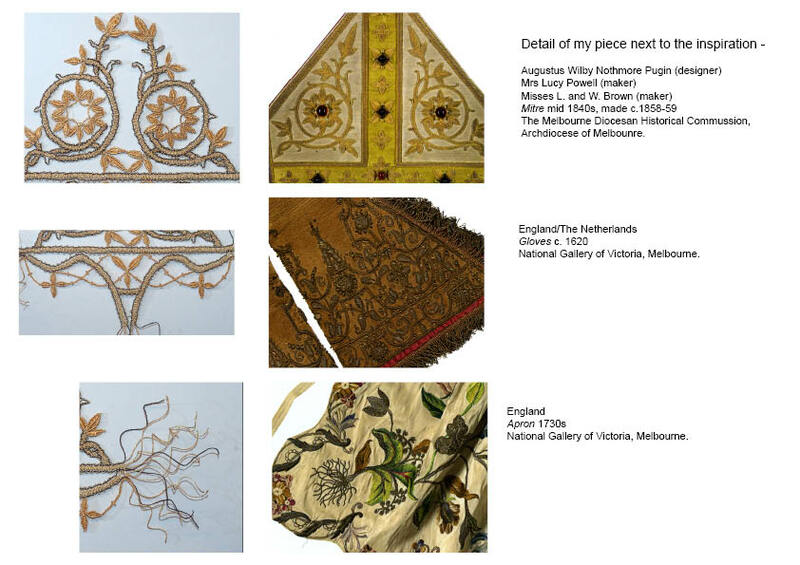 The piece is strongly influenced by the exhibit – Exquisite Threads held at the National Gallery of Victoria in 2015. It was an honour to demonstrate lace making in the gallery as part of the exhibit. Some of this piece was made when demonstrating at the gallery. Here you can see where I found my inspiration at Exquisite Threads. There are strong connections to the shapes lines and form of three of the pieces from the exhibition. The winners for the award were announced at the AGM during the National Lace Conference held in Melbourne. This piece was awarded Highly Commended.